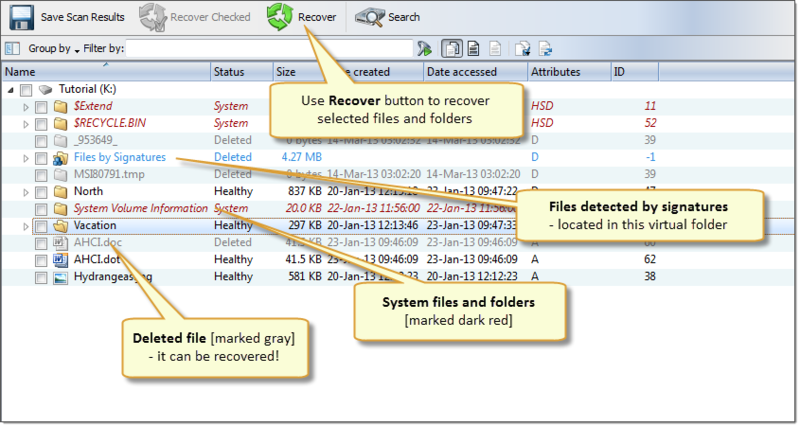 Select Volume (Logical Drive) scan in Recovery Explorer and scan the chosen drive for deleted files. A Logical Drive scan result appears in the Logical Drive Scan Result View where results can be reviewed and files selected for recovery. Search and Filtering - detected files can be filtered by name, extension or deleted status by using the File Filter Toolbar. For more narrow results Search for deleted Files and Folders can be used.